Today we look at Neverland, as depicted by Disney for the 1953 film adaptation of J.M. Barrie’s Peter Pan. This is the best official map I could find, and apparently it was a limited edition item; it could only be obtained by mailing in three soap wrappers (Colgate-Palmolive’s “Peter Pan Beauty Bar with Chlorophyll”) and 15 cents. 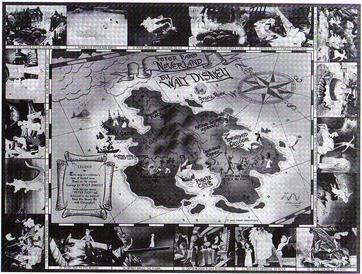 Map of Neverland, by Walt Disney Productions, copyright 1953. Neverland is a fantastically intriguing place for any child or adult who longs for the carefree days of youth. It’s a small island in an ambiguous part of the ocean, and you can only find it by flying, picking the second star to the right and going straight on til morning, whatever that means. In Neverland, a child’s imagination becomes reality, with pirates and fairies and mermaids galore. Neverland is warm and tropical, but it symbolizes a world of danger and adventure more than leisure. The kid in us is intoxicated by Neverland; the adult in us would probably prefer Tahiti. The map above effectively conveys the sense of mystery and escapism of Neverland, enticing the reader to live vicariously through Peter Pan and the Lost Boys. The panels around the border of the map also detail the main plot points of the movie, so the reader can keep them in mind when surveying the relevant locations on the island. I think the map has the general feel of an old treasure map, with the antique typeface of the text and the stylistic touches such as pirate ships off the coast. 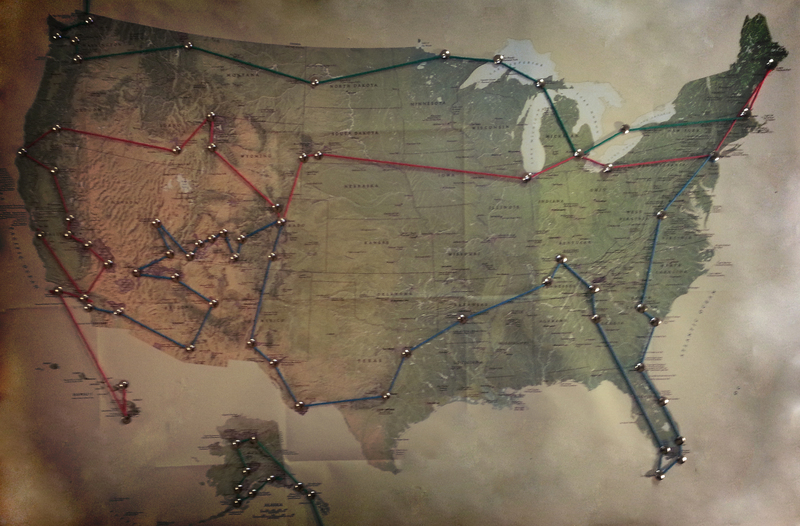 However, I also have a few criticisms of this map. The highly stylized text, and overuse of shading in some areas, makes it hard to actually read some of the names of locations. Additionally, it does not seem that the scenes depicted around the border of the map match the numbers written on the map. While I do see the numbers 1-12 randomly floating out in the ocean, it is not clear whether they actually correspond to anything. If the mapmaker had coordinated this better, it could have made the Peter Pan fan very happy to be able to trace the major events of the film on the map by following the numbers. 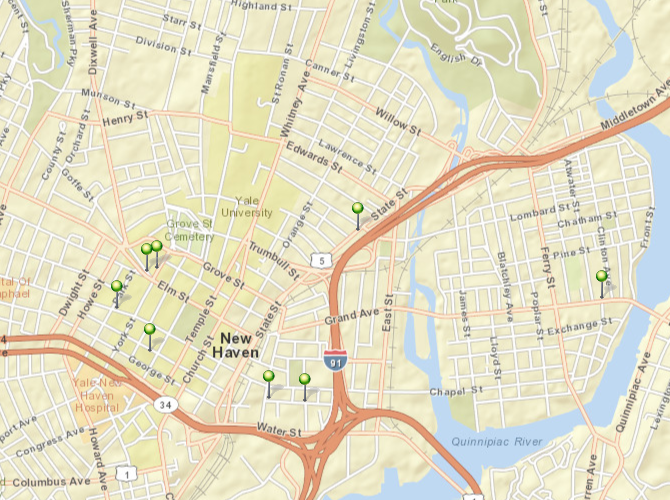 Last, but not least, there is an actual point on the map labeled “Peter’s Secret Hideout.” Well, it was secret. Generally, though, it is a pretty good map which succeeds in depicting Neverland relatively accurately while awakening the imaginations of the reader. Now if only we could get a higher resolution version without having to send in three soap wrappers. That’s all for today! 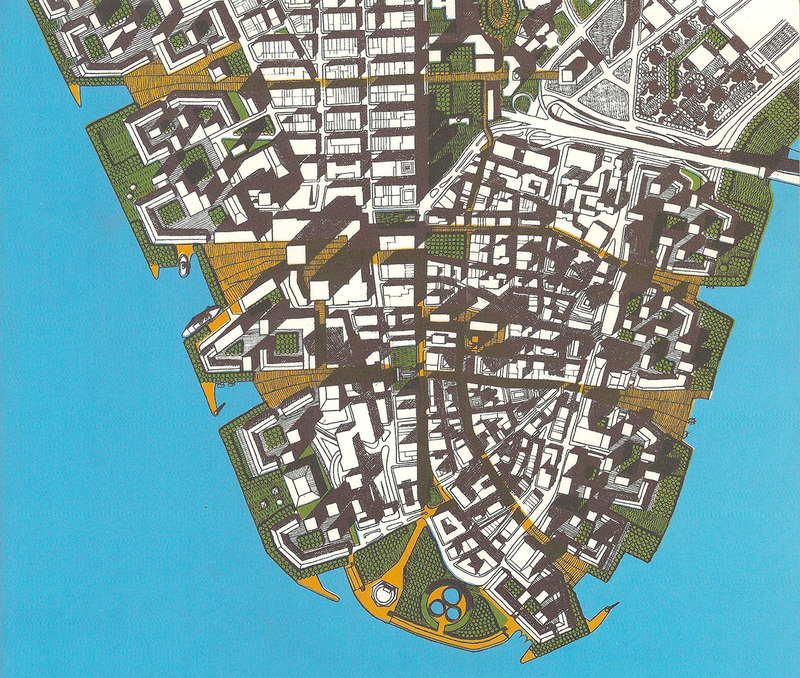 Happy Mapping, and please follow me on Twitter @PetrosJordan. Once upon a time, in the 15th and 16th centuries, there was a dragon. Or at least the tail of one. In world maps produced during the early era of the Age of Discovery, Southeast Asia was depicted as a long, peninsula dragon’s tail jutting southwest into the Indian Ocean toward Africa. As with most geographic inaccuracies of the time, it continued to be reproduced this way despite lack of actual evidence for such a shape or size, until navigators finally charted the area and realized that it did not resemble any appendage of a dragon. This map of the world was made by German cartographer Henricus Martellus Germanus, or Martellus for short, in 1489 or 1490, just before America was discovered by Europeans. The feature that stands out the most is the southern end of Africa, which had been circumnavigated by Portuguese explorers in the previous decades. Still figuring out exactly how to fit this revised shape of Africa into the map, Martellus chose to let the Cape of Good Hope actually cut into the border of the map itself. Now look across the sea, on the other side of the banner for the Indian Ocean, and there’s a long, crooked peninsula descending from China: The Dragon’s Tail. Where did the Dragon’s Tail come from? Well, before the 15th century, many cartographers, going back to Ptolemy in the second century AD, guessed that Africa in fact curved all the way across the Indian Ocean to the Southeast tip of Asia, forming a vast inland sea. 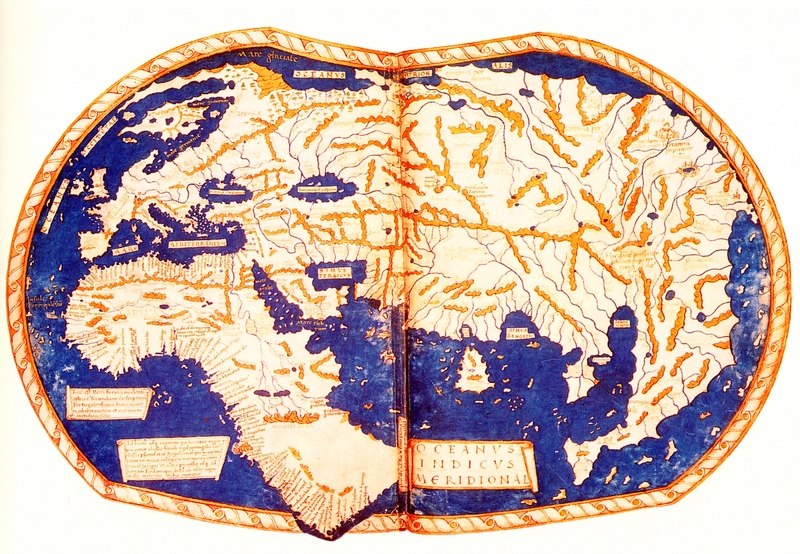 Below is one example of the supposed land bridge between Southern Africa and Southeast Asia, from a reproduction of Ptolemy’s world map in the 15th century. 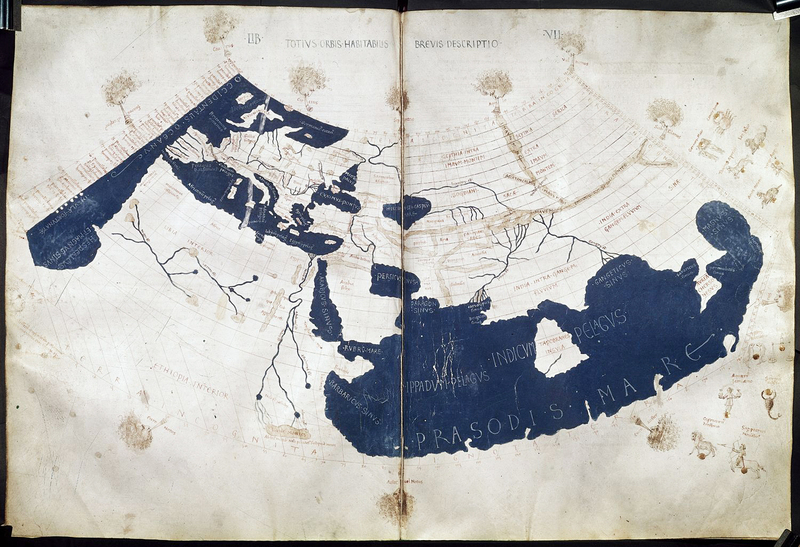 15th-century reproduction of Ptolemy’s world map from his Geographia, showing the closed-off Indian Ocean (via wikipedia). Once explorers determined that Africa was in fact surrounded by ocean in the South and East, they cut off the land bridge but kept the part of it jutting off from Asia, like the vestigial tail of a dragon. It came to be known as the “dragon’s tail”, and it remained that way on maps for decades, until explorers finally found their way there and learned the true shape of the land. Rather than curving westerward like the dragon’s tail, the southernmost peninsula (where Thailand and Malaysia are) actually curves to the east. 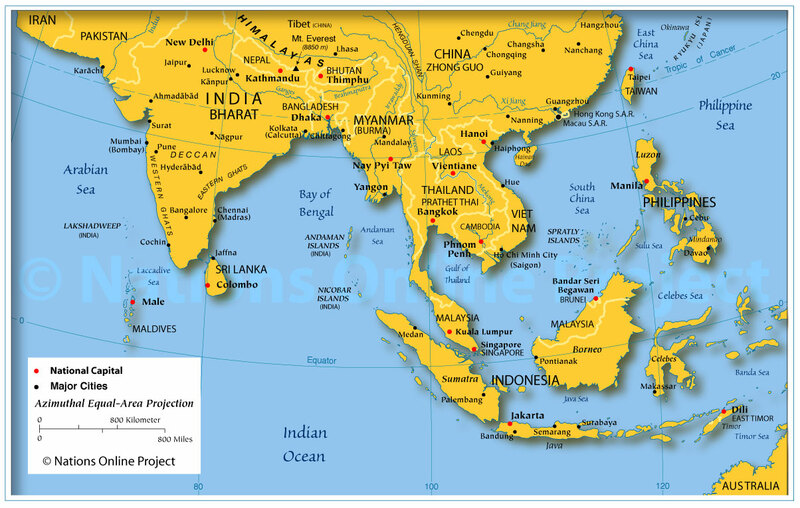 Meanwhile, the sizable islands of Java, Sumatra, and Borneo were missing completely from Martellus map, even though Marco Polo had mentioned some of the locations on these islands in his travelogue from the 13th century. In the early decades of the 16th century, though, this area of the map was more accurately charted thanks to expeditions by Magellan and others, and the fictitious dragon’s tail was finally laid to rest. For more information on this, check out “Early Mapping of Southeast Asia: The Epic Story of Seafarers, Adventurers, and Cartographers Who First Mapped the Regions Between China and India”, by Thomas Suarez, published in 1999 by Tuttle Publishing. The following Youtube clip shows a map of the world through time, from 3000 BC to 2013 AD. Watch empires, kingdoms, and nations rise, fall, split apart, and combine. It’s pretty interesting, but the areas are not labeled, so it helps to have some background knowledge of what’s going on. My favorite parts: The rise of the Roman Empire from 100BC to 0, the massive spread of the Mongol Empire in the 1200s AD, and the expansion of Russia to the East in the 1600s. It is also fascinating to see so many new nations arise, particularly in Africa, in the second half of the 20th century during decolonization. What other interesting periods in history jump out at you? Of course, the mere change in political boundaries doesn’t always tell the full story. In particular, the spread of an empire over a vast blank territory, such as the British and then the Americans over the North American continent, was very different in reality. All the “blank” territory was in fact inhabited by millions of Native Americans, who found their land gradually gobbled up by what would become the United States. So it is worth remembering that this video is focusing mainly on the big and powerful political players in history, leaving many smaller tribes and states off the map. It would be nice to find a video which also shows, for example, the Sioux and the Cherokee and the Inuit, but perhaps the historical record before the arrival of the Europeans was not as robust.